Big Pecker's 80's Round Set. Another icon from the 80's. 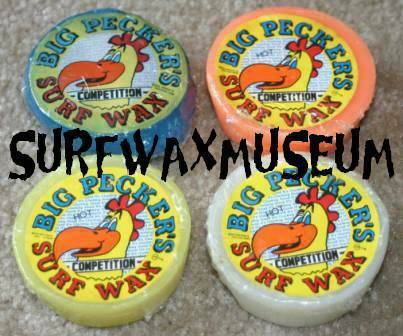 Great frickin wax. Big Pecker's Square bar. 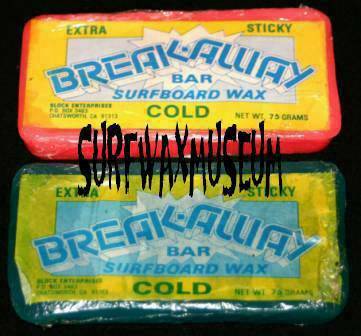 Got it on Kaua's in the 80's. Great stuff, as previously stated. 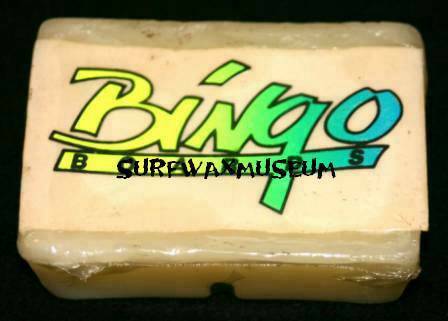 Bingo Boards. 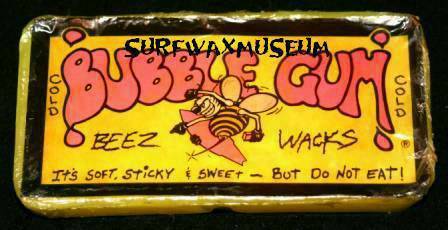 Awesome wax. Got it from Bingo's shop in '87 in So. Cal. Bingo IS his name-o. Bower Boy. Early Australian wax. 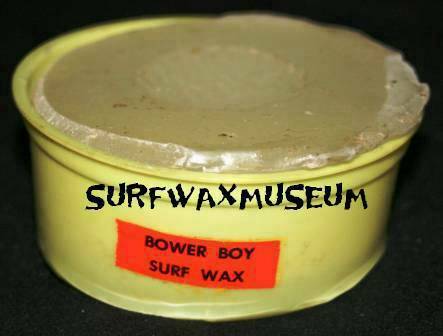 One of the first commercially produced waxes in OZ. Think this was actually from the 60's. Good luck finding this. Break Away. 80's. Great stuff. I heard it was made by Wax Research. Brother's Neilsen. 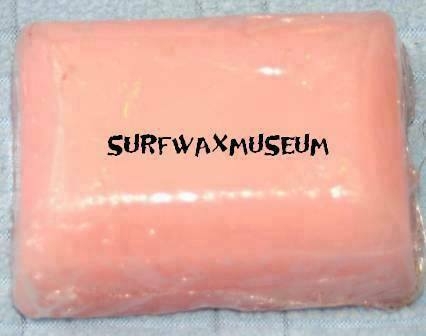 Australian wax. Had to have it. 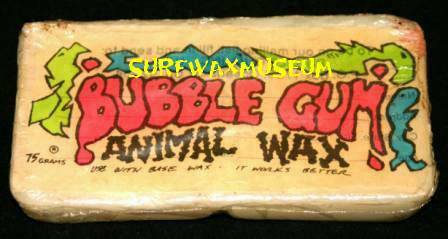 Bubble Gum Animal Wax. Again, Original BG from the 80's. Icon. Classic. 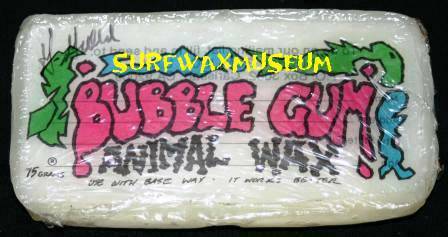 Bubble Gum Animal Wax signed by its creator. Thx Grant!!! B Gum basecoat signed as well. 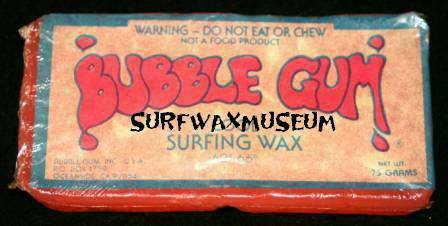 Killer frickin wax. 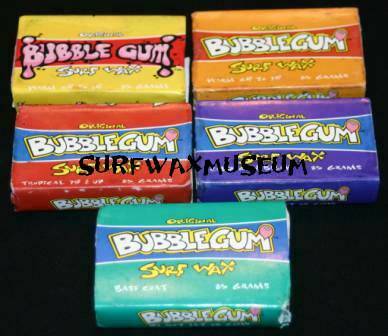 Bubble Gum with Face Wave. Maker/Year??? Had to have it though. 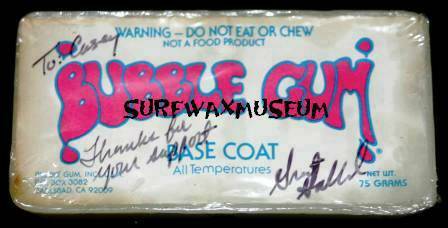 Original B Gum from the 80's. Round B Gum. I think these were done in the 90's, but I am not sure. Original SAMPLE of origianl B Gum from the 80's. Good luck finding this one. New B Gum Set. Still works as well as the original.